Two bikers sped away after snatching a bag containing Rs 5.20 lakh from the accountant of an oil mill merchant at Delhi-Garh road in Hapur. The police team which reached the spot could not trace the criminals. Members of Sri Ram Sena today vandalised the exhibition of artist M.F. Husain’s reprodu- ced work. The exhibition was organised by Safdar Hashmi Memorial Trust (SAHMAT) to coincide with the India Art Summit that had advised galleries not to diaplay Husain’s work. Little children dressed up as Krishna — flute in hand and peacock feather stuck on headband — did rounds of colonies as Hindus decorated homes with garlands and floral motifs and visited temples today to celebrate Janmashtami, the birthday of the much-loved Hindu god. Despite the stringent security measures, thousands of devotees today thronged the various Krishna temples in the National Capital Territory of Delhi to celebrate Janmashtami. The Mystiq Art Gallery here is presenting, “Karma of Krishna” a show of Krishna drawings by Suleman and oil on canvas by Chanchal Ganguly from August 21 to 28 to coincide with the Janmashtami celebrations. Concerned over the tardy pace of projects, the PHD Chamber of Commerce today suggested the setting up of a ‘preparedness level index’ to ensure that all projects are completed within the stipulated time frame before the scheduled Commonwealth Games (CWG) 2010. The curtain came down on the India Art Summit 2008 in the Capital on a mixed note as a pall of gloom descended on the participants and the organisers alike with the news that M.F. Husain’s exhibition was ransacked here. The Confederation of All-India Traders (CAIT) today asked the authorities to take the trade bodies into confidence before implementing the goods and service tax (GST) taxation system in the country from the fiscal year 2010. Children with special needs walked the ramps with some of well-known faces of the fashion world here at a unique fashion show organised by Tamana at Ashok Hotel here recently. Arthritis, precisely meaning an inflammation of any joint, is commonly understood to be the companion of increasing age. However, these days due to changing lifestyles and eating habits, people of almost all age groups have reported to suffer from various kinds of arthritis, namely rheumatoid arthritis, osteoarthritis and gout. Providing a breather to people travelling in the Capital during night, Delhi police launched a special drive against drunken driving. An 18-year-old woman was allegedly raped by a 32-year-old man in the Alipur area of North Delhi here on Saturday, the police said. Three labourers died as they were run over by a goods train near Ber in the Rabu Pura station area on Saturday morning. They got run over while they were crossing the track. A man was on Sunday allegedly robbed of more than Rs 250,000 in cash at knife point by an auto-rickshaw driver and his accomplices near Raj Ghat in the national Capital, a police official said. The loot in broad daylight on Saturday created a lot of resentment in the business community of the town. Rajinder Goel of Mohalla Prakash Nagar has an oil mill by the name of Goel Industries on the Delhi road. Goels’ employee, Mohinder has been looking after the mill accounts for many years now. After withdrawing Rs 5.20 lakh from the Canara Bank on Railway Road, Mohinder was coming to the mill office on his scooter No. UP 14-Q -1204 with the money kept in a bag. As he was trying to park his scooter near the mill gate, two criminals on a bike hit his scooter from the rear as a result Mohinder fell. One of the criminals quickly pulled out a revolver, snatched the money bag and jumped on the pillion. Both the criminals sped away on the bike in no time. 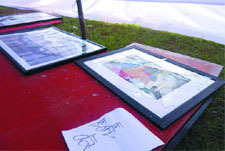 Members of Sri Ram Sena today vandalised the exhibition of artist M.F. Husain’s reproduced work. The exhibition was organised by Safdar Hashmi Memorial Trust (SAHMAT) to coincide with the India Art Summit that had advised galleries not to diaplay Husain’s work. “It was around 3.30 pm when over ten people entered the shamiana, where the works were being exhibited. They entered the tent and started throwing and breaking things,” said Rajen Prasad from SAHMAT. The attackers also threw pamphlets at the spot containing derogatory remarks against the eminent painter. 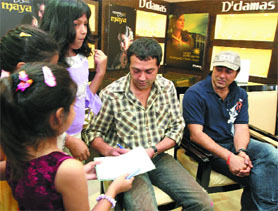 Along with artists Arpana Caur and Anil Chandra, cameraman of a private channel was witness to the attack. “They saw it happening and the cameraman has it recorded,” said Rajen. The organisers said that they had informed the police much in advance on August 20 about the exhibition. Protesting against the attack, SAHMAT has extended the exhibition in “as-in” condition till August 25. “None of the material from the vandalised exhibition is being handed over to the police till the last day of the exhibition. There will also be a meeting to protest this cowardly attack and against the attempt to impose a narrow, majoritarian view of our culture,” said Rajen. Eminent artists including Parthiv Shah, M.K. Raina, Madangopal Singh, Anil Chandra, Vivan Sundaram, Romi Khosla, Kalpana Sahni, Indu Chandrashekhar, Veer Munshi, Madhu Prasad, Inder Salim, K. Bikram Singh, Geeta Kapur, Ram Rahman and Sohail Hashmi have strongly condemned the attack. Meanwhile, no arrests were made in this regard so far. Security check going on at Birla Mandir in New Delhi on Janmashtami. Every temple had set up colourful and elaborate floats depicting the birth of Lord Krishna, his childhood pranks as ‘Makhan Chor’ (stealing butter and curd), his frolics with Radha and the gopis and his expounding the sacred message of the Gita (the song divine) to Arjun on the battlefield. Kirtans (religious songs) were sung at homes and temples amid blowing of conches and Sanskrit mantras were also chanted. Many people kept fast through the day. Birla Mandir, ISKCON (International Society for Krishna Consciousness) Temple and Chattarpur Temple were decorated with lights and flowers. ISKCON Temple arranged beautiful kalashas (pots) for devotees to perform the Mahabhishekha oblation of pouring a mixture of water and milk over the deity. Birla Temple saw people queuing up right from the early morning. Offerings of fruits, flowers and sweets were made to gods. The authorities have arranged for tableaux to depict Krishna’s life. The mood was festive in most Hindu households — with kheer prepared for the special day. “All members of our family are fasting to celebrate the Lord’s birthday. We visited Birla Temple and ISKCON Temple. In the night a cultural function has been organised by our society,” said Sangeeta Singh, an IT professional. Krishna is one of the most lovable gods. Famed for his naughty antics as a child and his flirtatious playfulness, Krishna is at the same time believed to be the ultimate saviour and protector. Lord Krishna noted with his trademark accessory, the flute, is one of the most remarkable Indian deities who is the source of the Bhagvad Gita, a text of pivotal importance to the Hindu view of life. The Gita, which literally means “Song Divine”, has been translated into over 70 languages and published in over 2,000 editions. It is perhaps one of the most widely interpreted texts in the world. Mahatma Gandhi sought refuge in the Gita during his fight for India’s independence. Tight security was evident in many places. Police was deployed near all major shrines and devotees were prohibited from carrying liquids or breaking coconuts inside temple premises. “Due to security reasons, devotees were not allowed to carry liquids or the traditional offering of coconuts to Birla Temple. They were only allowed to offer sweets, fruits and flowers to the Lord. The visitors had to go through security checks to enter the ISKCON temple,” Delhi police spokesperson, Rajan Bhagat said. Children dressed as Krishna and Radha enacted stories about the Lord at many places. People keep the fast till midnight — the time when Krishna is considered to have been born. The birth of Krishna was depicted in many homes using clay dolls — his birth inside the jail, Vasudeva escaping with Krishna across a turbulent Yamuna to the safety of Gokul and his merrymaking with friends. The biggest crowds were, however, seen around Birla Temple here where a three-tiered security system was in place because of the extremists’ threats. All temples were brilliantly illuminated while priests continuously chanted hymns and bhajans. In some areas, processions, including tableaux of the scenes depicting the birth of Lord Krishna, were taken out. The celebrations continued till late at night and culminated at midnight, the time Lord Krishna was supposed to have been born. Lord Krishna, worshipped as the eighth incarnation of God Vishnu has inspired religious poetry, music and painting. Mohammed Suleman has added his creative genius to the cult of Lord Krishna. Krishna, meaning black or dark as the clouds, is portrayed in those hues by Suleman. The flute which Lord Krishna used to draw crowds of Gopi’s to dance ecstatically with him in the forests is also very prominent in his paintings. The crown of peacock feathers on Lord Krishna’s head does not make a loud statement, but is a very visible symbol in these paintings. The peacock is expressed as a stately backdrop as Lord Krishna plays the flute, the colourful peacock is also in the same shade as Lord Krishna, thus preventing its riot of colors from stealing the focus of the canvas. The contrast with an orange background further accentuates the main theme of the canvas. Suleman’s Canvas also depicts Lord Krishna playing the Flute at night, with the moon as a backdrop, the flute’s melodious strains seem to float to the heavens and connect God with the human soul. The canvas also draws our attention to the fact that its not only humans that Lord fascinated with his flute, but also the other wonderful creatures of nature rejoice and resonate with the melodious and magical vibes of the flute. Vadehra Art Gallery and KHOJ International Artists Association are jointly presenting ‘Filament’, an exhibition showcasing the work of nine artists chosen from six years of the Peers Residency at KHOJ. The exhibition opened on August 21 and is on view till September 5 at the Vadehra Art Gallery here. The participating artists, Aastha Chauhan, Aditi Kulkarni, N. Bidyut Singha, Pradeep Mishra, Prathap Modi, Rakhi Peswani, Rohini Devasher, Sandip Pisalkar and Surbhi Saraf represent diverse ideologies and practices. These young artists work individually and in collaboration, extending the boundaries and definition of visual arts. Curated by Latika Gupta, this exhibition is part of the 10-year anniversary celebrations of KHOJ. Gallerie Ganesha here is presenting “Mark of Masters-1”, an exclusive portfolio of 60 limited editions of etchings by some of the prominent contemporary artists from August 28 to September 10. The show is being presented by Yashpal Chandrakar, a well-known name in the art circles here. Natya Vriksha is presenting the Bharatanatyam Arangetram of Radhika Kaw, disciple of Geeta Chandran, at the Chinmaya Hamco Auditorium here on August 31. Radhika has been pursuing Bharatanatyam for the past twelve years, and is greatly inspired by the possibilities of the dance in conveying beauty and aesthetics. “As a young person, Bharatanatyam has given me a sense of belonging to Indian culture,” says the young dancer, who originally hails from Kashmir. “If a South Indian dance can speak so convincingly to one born in the Himalayas, then truly, the culture is strong and its abilities deep,” says Radhika. Radhika is currently training to be a chartered accountant, and is doing her articleship with Grant Thornton. She is also pursuing her bachelor’s degree in commerce at the Delhi College of Arts and Commerce, Delhi University. A student of Ryan International Vasant Kunj, here Radhika has been an energetic student leader, participating in a wide range of cultural activities and public speaking both in school and college. Radhika has been a member of Geeta’s Natya Vriksha Dance Company, and has travelled with the company for performances in various cities of India. The night is not about darkness, it is about light. Not just light, but many lights. Many souls, many stories shine in these images; many whispers and many songs surround those thousand lights of the metropolis, the windows, the cars, and the street lights. The images in this collection range from the self-evident and pictorial to the thought provoking and intriguing, hand-picked to express the contradictions and the contrasts of night – conveying to the viewer that The Night is Alive. 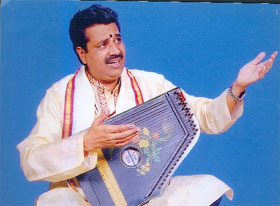 Ganjam is presenting “Flights of Fancy” – music concerts 2008 at the Stein Auditorium of the India Habitat Centre here on August 25, 26 and 27. The concert will be kickstarted by the renowned violin duo Ganesh and Kumresh on August 25 followed by a vocal recital by Sanjay Subrahmanyam and troupe on August 26 and the finale by the Priya sisters on August 27. The India International Centre (IIC) here is presenting an exhibition “A Tibetan Pilgrimage- Travels Through the Vanishing Himalayas” consisting of photographs taken by Tenzing Paljor. The exhibition is on till August 27 at the IIC Art Gallery. 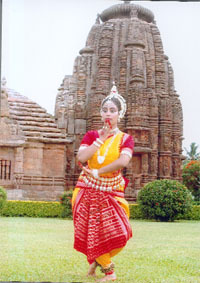 The IIC is also presenting an Odissi recital by Bhadra Chowdhury, a disciple of Guru Suresh Kumar Khuntia at its auditorium on August 25. On August 26, the IIC will also present an evening of Hindustani classical music- a vocal recital by Pt. Vishwanath. The industry body has suggested that the index should take into consideration four important benchmarks—physical infrastructure, transportation, environment and human resource development, mainly sportspersons. “This index should be updated every three months to assess the progress made and to take necessary corrective action in case of any delays,” the chamber said. Scheduled to be held in Delhi from October 3 to 17, 2010, CWG, which would see he participation of some 5,000 athletes from 53 countries, will be the largest sporting event ever staged in the country. The government is spending an estimated $ 12 billion to prepare the city for the games. According to the Industry body, plans to build state-of-the-art sports facilities and transport infrastructure, including new roads, at least 10 flyovers and new underground subway lines, are yet to be executed. The city’s train stations require up-gradation and the city will have to add some 40,000 hotel rooms to cater to those expected to visit for the games, PHD chamber said. “It is important that all development agencies including the private players sit across the table to evolve holistic strategies to complete the projects in time,” the chamber suggested. The Municipal Corporation of Delhi (MCD) is supposed to construct 16 railway and road overbridges and underbridges all across the city. However, the work on nine of them is yet to start as official clearance from the railway board is still awaited, the industry body said. “All the agencies have to work round the clock to ensure that these projects are completed. The civic agency also needs to complete the 16 multi-level car parking sites before 2010, which have been in the pipeline since 2004,” it said. The industry body noted that the bed and breakfast scheme launched by the Delhi government though started with a lot of expectations was yet to pick up momentum. But the organisers of the art summit - Hanmer MS&L, a multi-discipline communications and creative services firm - were happy that the fair was able to draw huge crowds, transact brisk commerce and thrash out issues facing the Indian art industry. The summit had excluded Husain’s works fearing controversy and trouble. It had issued advisories and guidelines to the galleries to bring non-controversial works, mostly by young contemporary artists to match the theme of the summit. The Indian art market estimated at $400 million dollars (Rs 160 billion) is the fourth most buoyant market in the world. The summit, said Sunil Gautam, managing director of Hanmer MS& L, registered approximately 10,000 footfalls on the closing day in the form of walk-ins. On August 23, the number of footfalls crossed 7,000, according to a rough estimate by the organisers. “Next year, the summit will be a three-fold affair. The registrations for participants have already begun for 2009 and nearly 50 international galleries have shown interest, along with 34 who took part in the summit this year,” Gautam said. The fair will be held on August 19-22 next year. But all the leading art houses and sellers from the country, who were at the fair missed Husain. “One of the major common issues that the art promoters discussed in the summit was the absence of M.F. Husain’s works. He is the father of Indian art and is almost single-handedly responsible for making Indian art global,” Sunaina Anand, director of leading Delhi-based gallery Art Alive, said. CAIT secretary-general Praveen Khandelwal while advocating simplification and rationalisation of the taxation system said that traders are not the taxpayers but act as honorary tax collectors collecting tax on behalf of the government and most of the time the amount spent maintaining accounts is much more than the tax collected. He said the government should consider reimbursing the traders for the amount of time and manpower spent on tax collection. The CAIT secretary-general further said the multiple taxation system often leads to harassment and victimisation. Even the VAT taxation system suffers from various anomalies and disparities which ought to be duly addressed in the proposed GST system. The basic fundamentals i.e. voluntary compliance and simple taxation rules and procedures should be embodied in the proposed GST Roadmap. Khandelwal said GST should be free from any kind of disparity or anomaly and in order to ensure passing off tax benefit to consumer the empowered committee should make it mandatory for the big manufacturers to divulge their pre-GST and post-GST prices to their respective governments. CAIT also suggested that since GST will be based on computerisation system the traditional retailing should be converted into modern format of retailing and for such development the government should provide financial assistance to traders for computersation and modernisation of their business system. The traders’ body also suggested that GST software should be freely distributed among the traders by the government. The CAIT also suggested that immediately after release of GST roadmap the empowered committee should undertake a country wide educational programme containing relevant information, procedure and book-keeping system to trading community while holding seminars and workshops etc. It also stressed the need of proper education among tax officials as well. Tamana is a charitable, non-profit voluntary organisation which looks after children with special needs. Some of the country’s top talent came together to support this cause. Aparna, Tania and Anisha from Preferred Professionals produced and executed the choreography for the show. The participating designers were Manish Arora, Rajesh Pratap Singh, Abhishek Gupta and Nandita Basu , Namrata Joshipura, Rohit Gandhi, Rahul Khanna and Reebok. In the show, the students from Tamana School walked the ramp, alongside professional models. The show was held in aid of Tamana, not only to raise funds but also with the objective of creating and enhancing greater public awareness, understanding and acceptance of people with special needs. Most importantly, the show provided a platform to the ‘special needs’ students to share the stage and limelight with the top models of India and to show to the world that they too, can participate in all walks of life. These joint infections, when advanced, result in severe damage to bone surface at the joints, thereby causing severe pain and rigidity. In order to get relief from this, one has to get a joint replacement operation or arthroplasty done. The operation replaces the rough surface of an arthritis or damaged joint by a new smooth surface. Joint replacement surgery is the refuge for people suffering from multiple arthritic joints including hip, knee, shoulder, ankle, elbow and finger, with or without deformity, secondary to rheumatoid arthritis, osteoarthritis, traumatic arthritis and certain other forms of non-septic arthritis. In this context, a two-day seminar was organised on the current trends in arthroplasty 2008, on August 23-24 at the All India Institute of Medical Sciences (AIIMS), jointly by the orthopaedics Research Society and the orthopaedics department of AIIMS. The two-day audio-visual session became an interactive platform for many specialised brains from the medical fraternity like Dr Shamal Das De and Dr Yeo Seng Jin from Singapore, Dr AVF Nargol from the UK, Dr Eun Kyoo Song from Korea and Dr Tai Cheh Chin from Malaysia along with various other noted arthroplasty surgeons from India. “Difficult primary joint replacement” in knee and hip region was the focal point of discussion at the conference. Specialists threw light upon the latest updates in the arena of joint replacement including robotic joint replacement and navigation technique. Dr Eun Kyoo Song from Centre for Joint Disease, Korea, shared his seasoned experience in robotic joint replacement, highlighting the technique and its utility. At times, lapses do occur in component placing and limb positioning in joint replacement, and this can be reduced through navigation technique in which computer-assisted surgeons align the patient’s bones and joint implants with a marked degree of precision. Yeo Seng Jin from General Hospital, Singapore, displayed a live demonstration on this subject and discussed the intra-operative problems, arising during total knee arthroplasty. In the last 24 hours, Delhi police prosecuted 141 persons who were found driving in a drunken state. “This is the largest number of people prosecuted in one day,” said Bhagat. The drive will continue for sometime with several teams being deputed at different places for conducting surprise checking. “Special vigil is being kept during night time on roads near pubs, malls, cinema halls, hotels and Ridge area,” he said. According to police officials, the woman, pursuing first-year BA studies through a correspondence course in Delhi University, made a call to police at about 1.30 p.m., saying she had been raped by a relative. “The victim said the man who is known to her family came to her residence, and asked her to come along with him to his residence nearby. The victim went with him on his motorcycle,” said a senior police officer. The man took the girl to a house and allegedly raped her, the police officer said. The girl was taken for a medical examination but the police refused to comment on the test. According to sources, work on the track between Delhi and Aligarh is in progress and large number of labourers who work there live in makeshift huts near the railway line. On Saturday morning, Suresh, 25, Ravinder, 20, and Raju, 18, were reportedly crossing the railway line when they got trapped under the wheels of the train. The bodies were seen by the villagers at daybreak, who informed the railway authorities. Soon the Ghaziabad Railway Police (GRP) cops came on the spot and sent the bodies for post mortem. It happened when Naveen Makkar was returning from Bangalore where he had gone for his son Mayank’s admission to an engineering college.